As National Apprenticeships Week draws to a close, Shoeburyness-based business, loveit coverit, is pleased to reveal that the four individuals brought through the business under an apprenticeship scheme have all chosen to progress their careers with the company, taking on permanent roles in different areas. The 12-month scheme, run with registered Apprenticeship Training Providers, Key Training, saw the individuals work across a number of areas at the mobile phone and gadget insurance company. 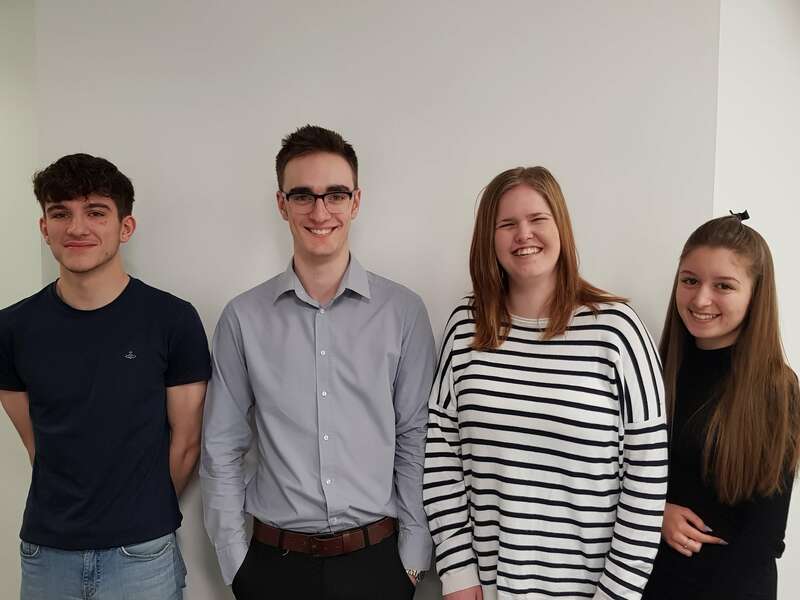 As well as supporting the inbound call team by handling customer enquiry calls and email communications during peak times, the apprentices were also trained in collecting policy excesses. Across the administration side of the business, the individuals learnt how to conduct full assessments of claims, supporting with claim logs and documentation. Having successfully completed their apprenticeships, Alesha Symes, 21 from Leigh and Ella Lacey, 19, from Eastwood, have now been positioned in the inbound Customer Care Team where they will assist customers wishing to make claims, whilst also taking responsibility for adjusting policy details in loveit coverit’s CRM system. Callum Jon, 19 from Shoeburyness, is now based within the Administration team. Jamie Clements, 19, from Shoeburyness has since moved into the internal repair centre at loveit coverit for Repair and Quality Assessment Training provided by the Repair Centre Manager. Upon passing this, Jamie will focus on repairing Apple iPhones that have rear casing and front screen damage as well as damaged charging blocks or cameras. loveit coverit’s Operations Director, Simon Harvey, shares his delight at the team’s progression and the subsequent impact their contribution has had on the business. Alesha Symes explains how the course has helped to develop her skills and confidence. Since the advent of the Financial Conduct Authority, the insurance industry has undergone a significant transformation. Changes in best practice and the increasing use of technology within the industry have given rise to far vaster opportunities for insurance professionals with a wider and varied set of roles and disciplines available, making this an attractive career prospect for young people. Authorised and regulated by the Financial Conduct Authority, loveit coverit is a trading name of Pier Insurance Managed Services. Providing mobile phone and gadget insurance for almost 30 years, the company has insured over 900,000 devices to-date and all claims are handled by their UK based, in-house team.